A Julia set centered at \(-0.01+0.75i\). 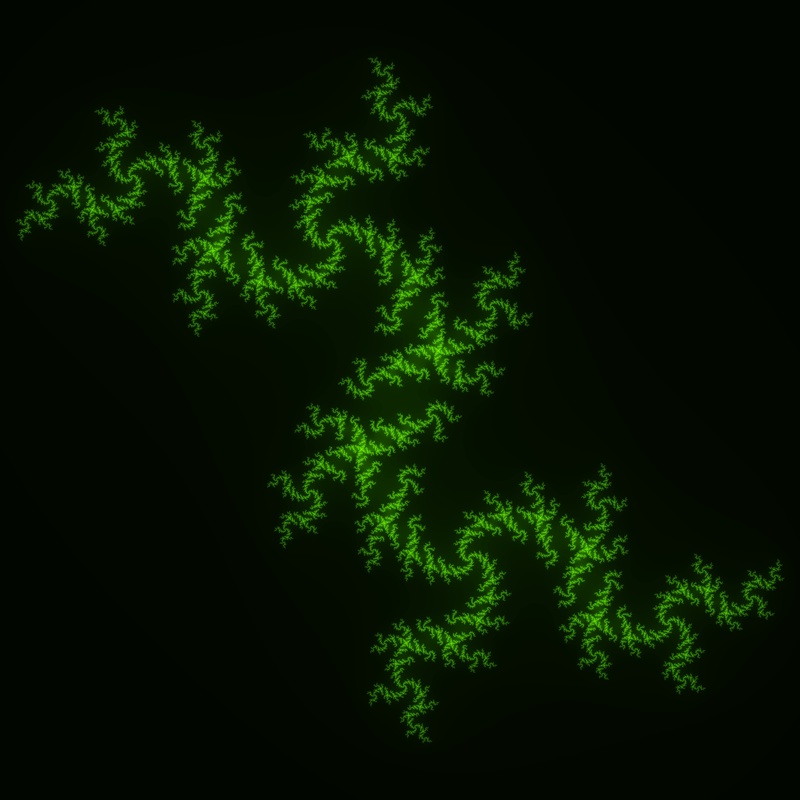 This point is near the boundary of the Mandelbrot set (though distinctly outside of it), hence the associated Julia set is disconnected. While the individual portions of the pictured Julia set are far too small to see (and would be at any level of zoom), the escape time coloring algorithm gives us the brilliant dragon seen above.